Lead Pipelines should depict your sales opportunity process, using statuses as the different stages of the sales process. Please note that you can have multiple Lead Pipelines if you have more than one sales opportunity process. 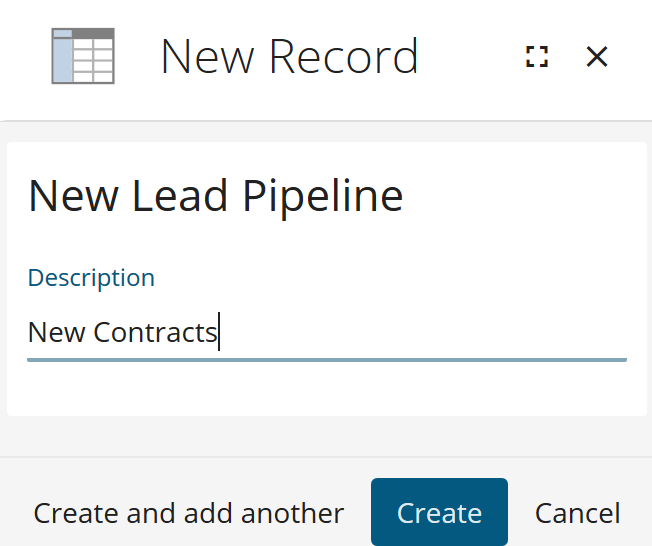 To configure your Lead Pipelines you will require Prospect 365 Administrator rights, if you require these then please speak to your key CRM user or our Customer Services Team. 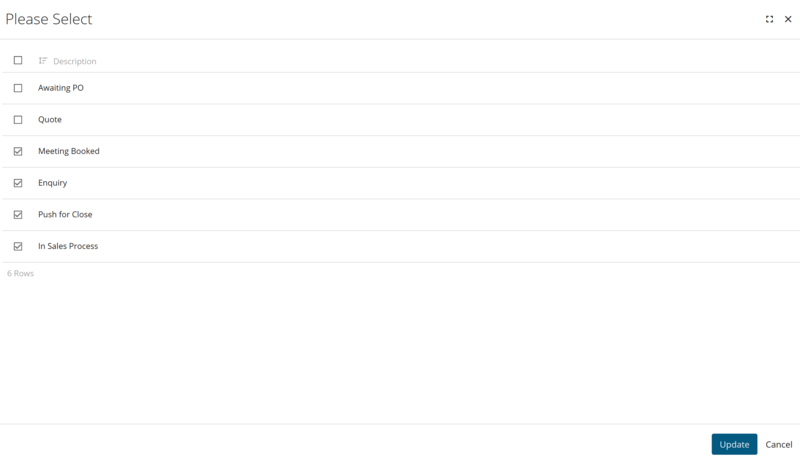 To edit your Lead Pipelines, click on the settings icon in the bottom left-hand corner. 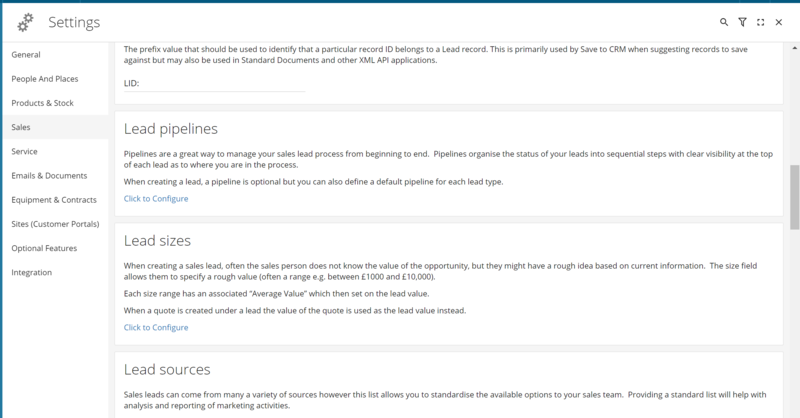 Once within the Settings Centre, navigate to the Sales section & scroll down until you reach the lead pipelines configure option. By clicking on the 'Click to Configure' link, the Configure Lead Pipeline window will open. 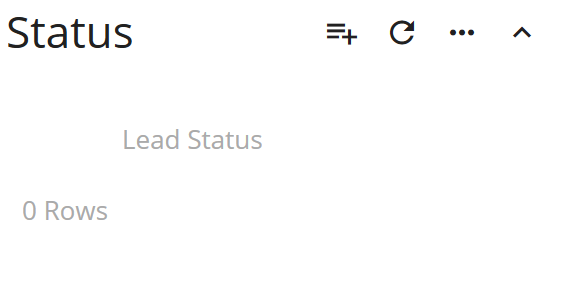 To add in a new Lead Pipeline click on the + icon along the top of the screen. You will then be asked to give the new Lead Pipeline a description. Please make sure this is relevant to the sales opportunity that the pipeline will be used for. Click create. Now you have created the Lead Pipeline, you will need to add in the required statuses by clicking on the pencil icon. This will then open the below side bar where you can make various edits to your new Lead Pipeline. You will then be presented with a list of all the active statuses that you currently have configured within the CRM. 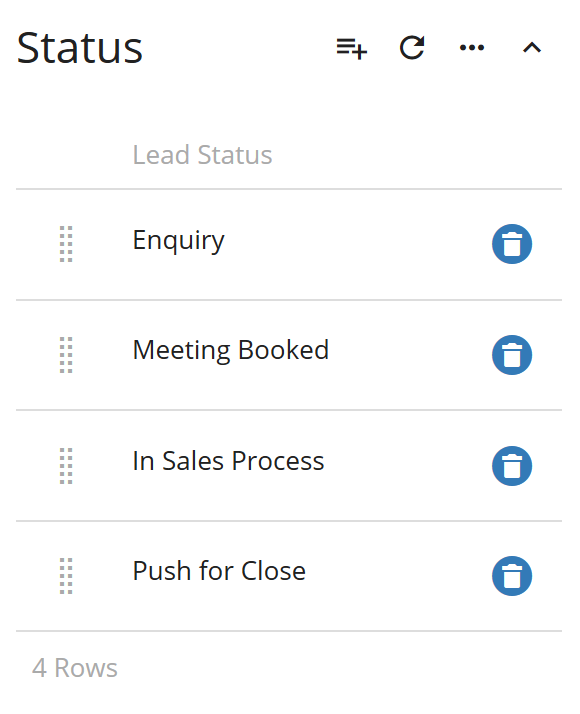 Here you can select the statuses you wish to add to the Lead Pipeline. Once happy with your choices click 'Update'. 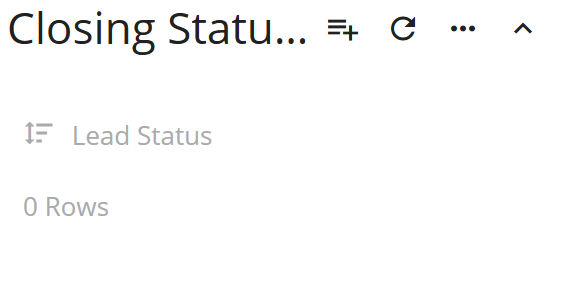 You have now configured your new Lead Pipeline, for more information on how to configure your lead statuses please see the Admin User - Configure Drop Down Menus - Status Codes & Types article.